Tickets for the new Doctor Who Experience , based in Cardiff, went on sale at 10am this morning. The attraction in London's Olympia closed in February but will opens its door again, this time in Porth Teigr in Cardiff Bay, on Friday 20th July 2012. The Doctor Who Experience is a celebration of the iconic BBC series and moving to our new home at Porth Teigr in Cardiff Bay, just minutes from where the BBC Wales television series is made, is incredibly exciting. 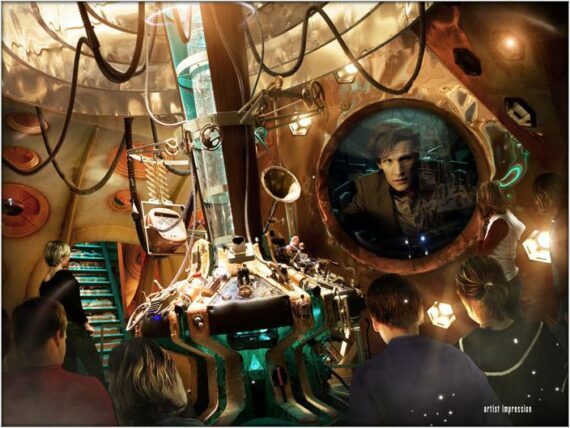 Visitors to the Experience in Cardiff will be able to fully immerse themselves in the world of Doctor Who. The new home of the Doctor Who Experience is positioned close to the new Doctor Who Studios, Roath Lock, and will be based there for at least five years. You can buy tickets to the Doctor Who Experience on the newly relaunched website here. Does anyone know what's happened to Combom?